Prestolite Electric’s addition of the Prestolite Power Promise to IdlePro and IdlePro Extreme alternators helps highlight the dramatic quality differences in today’s rotating electric category. As a global leader in high-tech, high-quality rotating electric products, each IdlePro and IdlePro Extreme alternator has been carefully engineered and tested to address the harshest use scenarios and extended service required to drive down vehicle downtime due to failure or service incidents. *Offer limited to qualifying units only. See your Leece-Neville Sales Representative for details. This offer is only applicable in the United States, Canada and Mexico. No worries. No hassles. No competition. The innovative IdlePro® and IdlePro Extreme® high-efficiency/high-output alternators feature exclusive technologies that help extend battery life and increase vehicle uptime. Learn more about these industry-best output alternators! Leece-Neville IdlePro® series alternators provide the industry-best output at low engine speeds through an innovative brushed, dual internal fan design. IdlePro series alternators include a host of features that help extend battery life and increase vehicle uptime by enhancing electrical system and engine performance. The Leece-Neville IdlePro Extreme® series alternators offer industry-best output at low engine speeds, utilizing a high-amp, brushless design. Best-in-class IdlePro Extreme alternators feature an array of engineering benefits that enhance electrical system and engine performance to extend battery life and increase vehicle uptime. Experience the advantages of our exclusive battery-saving IdlePro® alternator technology! Learn more about the latest technologies that are maximizing vehicle productivity. Here is a full library of materials about the industry’s most efficient alternators! Prestolite Electric is a leading global manufacturer of alternators, starters and new-energy solutions marketed under the Leece-Neville® Heavy Duty Systems and Prestolite® brands. The brand is marketed by Zhongshan Broad-Ocean Motor Co., Ltd. (Broad-Ocean), one of the world’s largest manufacturers of specialty rotary electrics. The Prestolite and Leece-Neville product line includes high-output alternators and gear reduction starter motors for on- and off-highway trucks, military applications, mining vehicles, school and city buses, motor coaches and other uses. 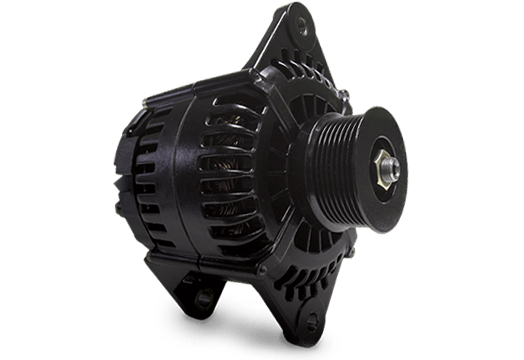 Broad-Ocean is a global supplier of high-tech, high-quality motors, alternators, and starters to multiple markets, including appliance, air handling and commercial transportation. Copyright © 2019 Prestolite Electric Incorporated. †Delco Remy is a registered trademark of General Motors Corporation, licensed to BorgWarner PDS (Anderson) L.L.C. ††24SI, 28SI, 38SI and 40SI are registered trademarks of BorgWarner.